"In the gaming industry, there's a lot of toxicity. There are a lot of trolls." It's one of the first things Roblox VP of marketing and community safety Tami Bhaumik tells GamesIndustry.biz when we sit down with her at February's DICE Summit in Las Vegas to talk about the idea of digital civility, one her company championed earlier this year with the appointment of Laura Higgins as its director of community safety and digital civility. "But it's become apparent in the gaming industry itself, there are a lot of gaming companies we're talking to that are really understanding the need to bolster practices on creating civility online," Bhaumik says. "Why do people play games? For fun. People do it as an escape, a getaway. It's fun, relaxing. But if it becomes too toxic, the industry suffers as a whole." "Why do people play games? For fun... But if it becomes too toxic, the industry suffers as a whole"
To this point, Bhaumik says the industry's stance on dealing with toxicity has been mostly reactive. Banning is ineffective for changing behavior, Bhaumik says, arguing that doing so just makes problems for other people in the industry. "If there's a bad actor that comes onto our platform and we identify them and kick them off, they're going to one of you," she says. "They're not going to stop. So if we hold hands, we build an impenetrable force, that toxicity can't get in. We look at it as joining together, we're stronger." To that end, Roblox is a member of the Fair Play Alliance, a group of companies and individuals sharing best practices to promote healthy gaming communities and cut back on disruptive gaming behavior in all its forms. "The mission of the Fair Play Alliance is to address toxicity in the gaming area, not only from a good will perspective -- because we should -- but also from a business perspective," Bhaumik says. "Not just because it's a good thing to do, but there are business reasons for it as well. "We want our community to have fun. We want them to learn, engage, socialize, and take advantage of all the things Roblox is and makes available to them. If they're not having fun, they're not going to spend any time on the platform, and they're not going to tell their friends about it. And our growth has been primarily driven through word-of-mouth, so it's vital to our business success to make sure our community is a healthy one." For Roblox specifically, that challenge is tied to the fact that the company's audience skews younger than many other developers. Last year that was made painfully clear when reports emerged of a seven year-old girl having her in-game character "violently gang raped" by other players. (The offenders in that instance were permanently banned.) 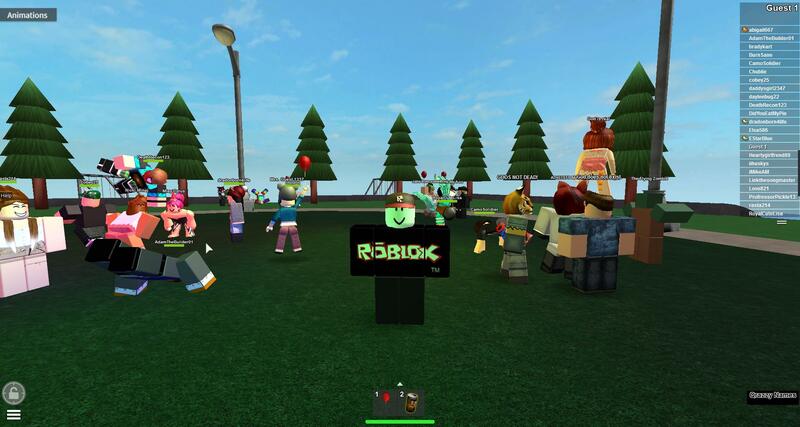 In Roblox's estimation, part of the challenge in keeping kids safe on its platform is that younger audiences are behaving online very differently than their predecessors. "Your generation and my generation have no idea how this younger generation lives and operates. In our world, there was a line between the digital and physical worlds"
"Your generation and my generation have no idea how this younger generation lives and operates," Bhaumik says. "In our world, there was a line between the digital and physical worlds. But our society has evolved so quickly that young people now have no line. Their virtual world and their physical are one and the same. They socialize, they learn, and they play seamlessly between digital and physical. It suddenly just happened. So now it's about taking responsibility and teaching our younger generation how to be able to create positive experiences." As an example, Bhaumik points to Linkedin, where she routinely ignores connection requests from people she doesn't know. "But when you have a nine year-old who's been told all their life, 'Be friends. Be nice. Don't exclude anybody. Be friendly,' they're learning from our rules," Bhaumik says. "What ends up happening is they start accepting all sorts of friend requests. We need to empower and educate our young people to feel comfortable saying no, not accepting friend requests, and not feeling guilty about it. And again, really instilling, 'Don't say anything to somebody online that you wouldn't say if you were in front of them.'" She adds: "We have an opportunity to teach and hopefully guide. We're not ever going to be in a position where we're trying to play parent. We are a platform. We believe our role is to offer opportunities, features. Whether or not you choose to use them is totally up to you, but we feel we need to make it available... The last thing Roblox wants to be is preachy. That is not the intent here. The intent is to offer tools and materials to allow the community to make choices for themselves. "It is not our right, nor is it our role, to dictate how parents should parent or what that behavior online should be. But it is our responsibility to provide features and educational material to where you as a parent can make decisions." Bhaumik doesn't have a solution for digital civility yet, and acknowledges the industry is "in our infancy" on the subject. But she also believes progress on that front began with the understanding of how this generation of children views their lives, in how there is no separation between online and offline. "I'm excited for where we need to go, because we've all taken that first step," Bhaumik says. "We're now aware of it. I would say a year or two years ago, we weren't even aware of it. But now because of our kids' behaviors and that line going away, we have to be better. We have to give this next generation the tools to be able to create positive experiences online. Not just on Roblox, but in general."